A master bedroom with a double bed 140 x 190 cm and 3 storage with rod for hangers. The accommodation has no faucet or shower and toilet. Sanitary 250 m from the accommodation. Optional: Sheets rental: single, double and for cot. 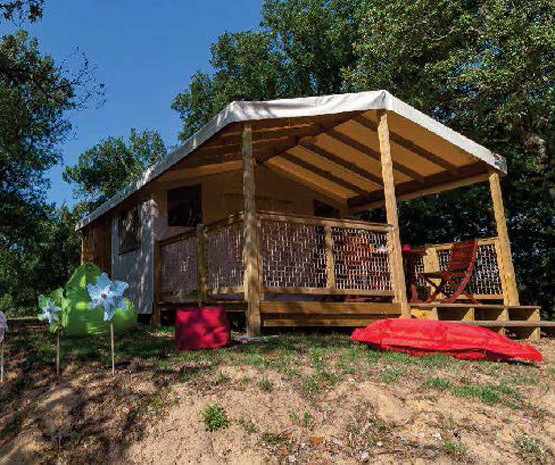 Atypical and comfortable, the Coco Sweet lodges of our Le Gibanel campsite are perfect for a family with 2 children. 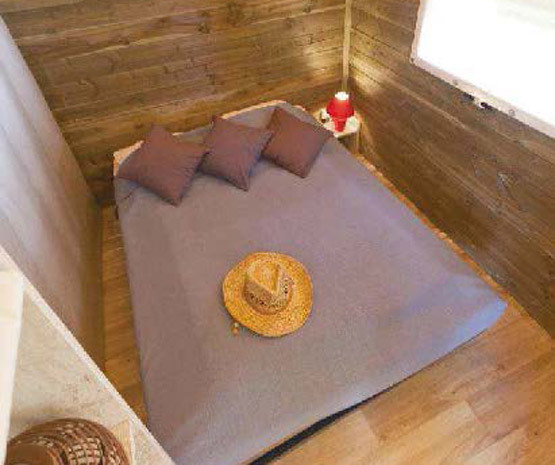 Despite their small size (16 m²), the space of these lodges is optimally optimized to bring you the necessary comfort for the duration of your stay. 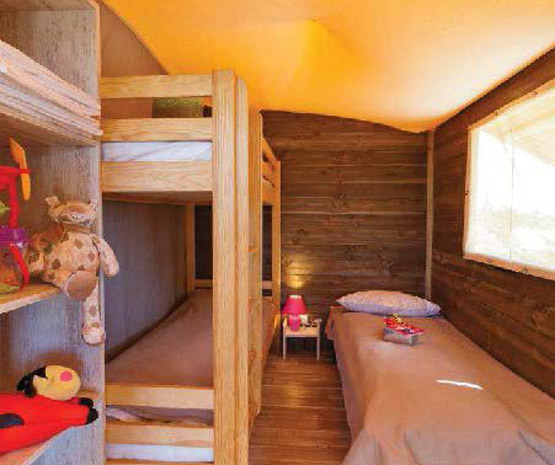 The lodge Coco Sweet is composed of a parental room and a living room with two convertible benches in single bed. 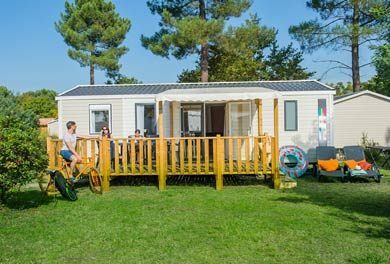 If you have a small budget for your holidays, this type of rental is perfectly adapted and offers a real comfort and makes you enjoy the many services of the campsite. 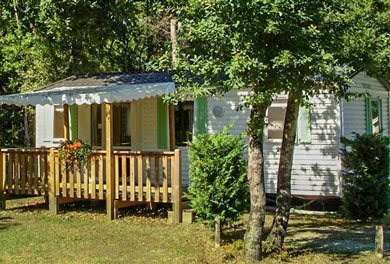 For a stay in the best conditions, these rentals also have a kitchenette with fridge, a hob and a microwave. 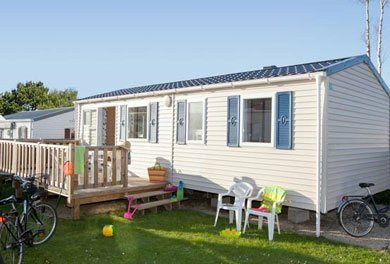 As for showers and toilets, they are located within 250 m of these lodges. As an option, you can rent sheets and towels from the campsite reception. It is also possible to add a mobile forced air heater if the nights are too cool. 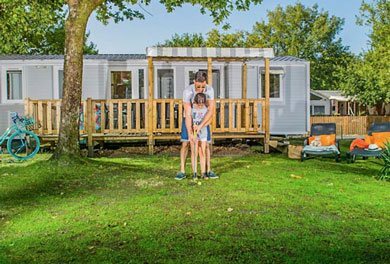 For a family holiday in a high-performance campsite, do not hesitate to book your Coco Sweet Lodge and enjoy optimal comfort at the best price!